Over last few months, I have written few blog posts where I used pretty sophisticated Charts, Graphs and Visualization. They make the blog post lot more meaningful and readable, readers love those charts, tables & displays. In this post, I will share the service I use for those visuals and few quick steps on how to create a chart and add that to your blog. 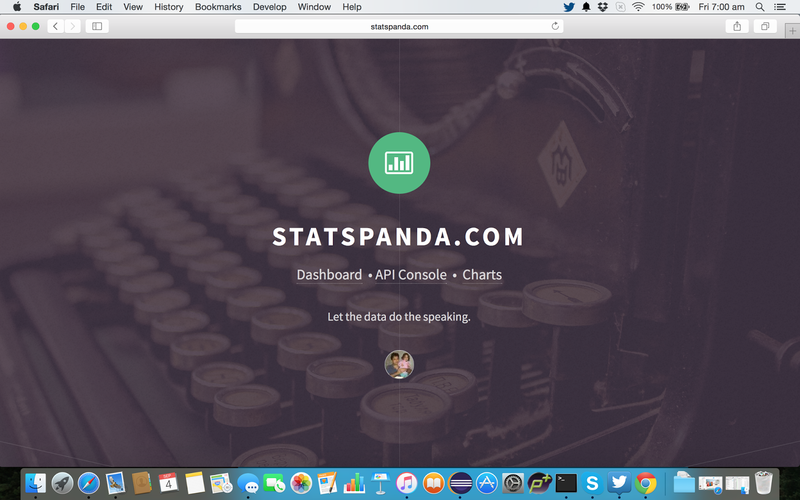 I use the services of http://www.StatsPanda.com, it's in public beta and it's free for "Individual" users. Once you login using your Facebook account, it redirects to registration page and during registration it gives two options - "Individual" and "Enterprise". Choose "Individual". Go to API Console. I will suggest that you spend some time exploring the listed Visualization APIs. You may have to spend some time trying out the APIs in order to understand the JSON Inputs structures. It's not super complicated, although it may take some time. Initially you can use the example input data provided along with API Documentation. Once decided, go ahead and create the Chart of your choice and that would give you a unique url and iFrame Code for your chart. For this blog I created a Stacked Area Chart with the example data that API Console provided. In the above screenshot, you can see a greyed out box right below the chart. The content of that box is copied below for your reference. You can straight away use that in your blog. Here is an example how the Visualisation really appears in a blog once you include the iFrame code snippet to your blog. The chart is dynamic and not a jpg pic, data is being served from the Website. In fact, if you want you can "Edit" the input JSON Data and have a different chart of same type. Hopefully you find it useful and able to use the charts and graphs in your blogs. 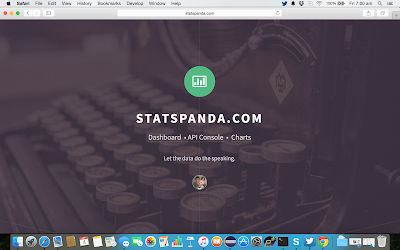 Goal of StatsPanda is to break the technological barrier and enable the Data Scientists, Data Analysts and Business Users to do statistical analysis and create cool visuals i.e Charts & Graphs without knowing much about technology. Scatter Plot Chart(s) and more. Finally, you can create your own Dashboard using the charts you have already created. You can embed the Chart anywhere you want to e.g. in a blog post or you can use multiple such Charts to create a Dashboard. Example - TCS Financial Analysis. Here is an example how a chart can be embedded in a blog. Every functionality of StatsPanda is exposed via an API. 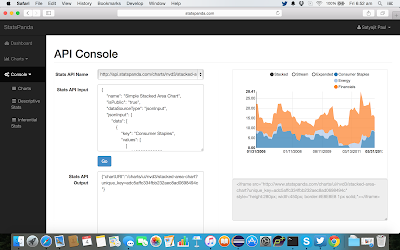 These APIs can be executed on your data set using the user interface (API Console). The APIs can be invoked programmatically by the advanced users. Every API invocation will return you either the computed results (in case of Statistical Computation) or return you an unique url of the Chart you created. I am sure you will find the services cool and useful. Please note StatsPanda is still in early beta and very few people using the services for production. So, you may expect big changes in software design and work flow. Please check out this blog space for the latest updates.